Happy December everyone- not to mention Cyber Monday. I hope you had a great Thanksgiving full of food, family, and cheer. 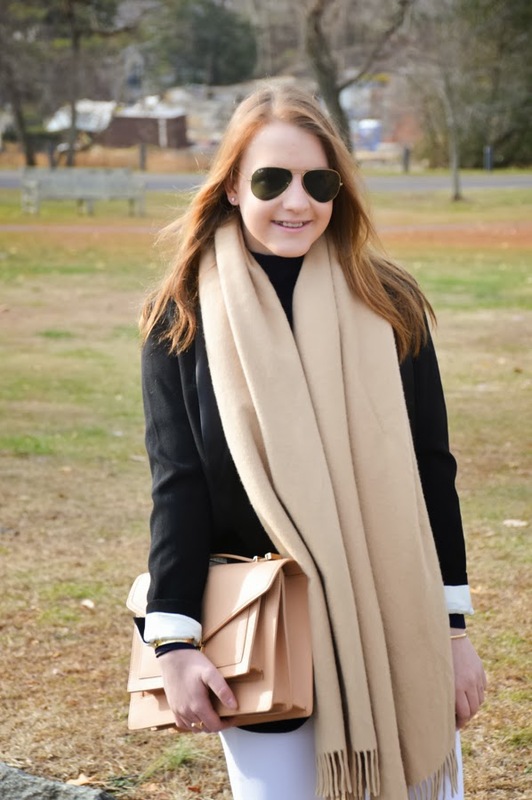 There are a couple of items that I love to wear- turtlenecks, oversized scarfs, and white jeans. 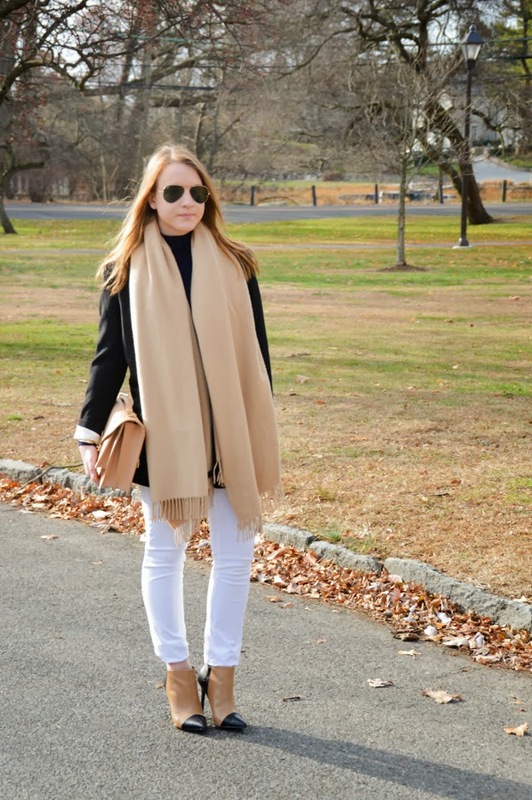 Today's post is quite the rule breaker- mixing navy and black and white jeans. But it's fashion and rules are meant to be broken. Winter white is refreshing to wear and it most definitely lightens up an outfit that has a darker palette. You look so chic in this! Your LR bag makes me jealous.....love it! OMG You look super elegant! I think the mix of clothes with accesories are the right ones that give a clean result! PS: I'm so inlove with your booties! Thank you so much Anna- glad you enjoyed the blog. You are so chic I can't get over it! Aren't they super cute- I wear them too often.